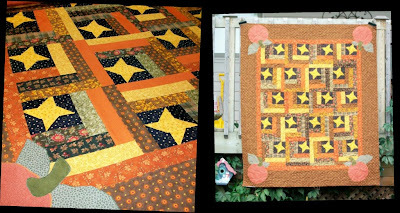 Customers start bringing you their fall quilts! 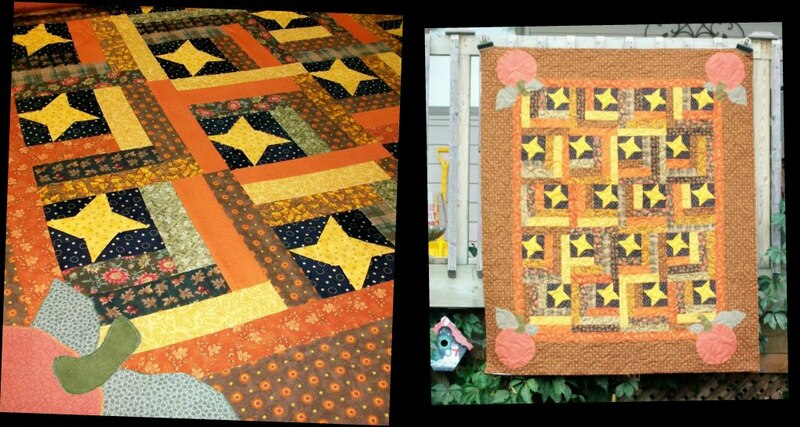 This is a lovely quilt of my customer Carol Ann. The pattern is from the book Thimbleberries Collection of Classic quilts and is called Midnight Sky. We quilted it in the panto pattern Lush Leaves. I think she did a great job of it and it will look wonderful this fall in her home.